MKV files are digital videos that are optimized to play with subtitle tracks. Many people who download a file with the extension MKV will often try to play it back with subtitles on video players and portables. As a container format file that stores multiple streams (video, audio and subtitles), MKV files cannot be played back on iPods or iPads, but they can be converted to MP4-formatted files that can easily playback on The New iPad. Subtitles can be copied from the MKV file, or added during the conversion process. Here, we recommends using the iFunia Video Converter for Mac for video conversion on iPad. Now just download it for free and check out the guide below to convert your MKV videos to The New iPad with subtitles easily and fast. Navigate to iFunia Video Converter for Mac's home page in your Web browser and click the "Free Download" button on the right side of the screen for your free trial version. To install it, simply mount the .dmg archive by double-clicking it, and copy the application to your applications folder (or wherever you want). After downloading, install and run iFunia Video Converter for Mac. Then Click the Media Browser icon at the upper right corner to load the MKV file you want to convert. This Mac app also supports the drag-and-drop operation. You can add multiple MKV files at a time. All loaded files can be previewed on the previewing window and you can take snapshots of the movie scenes you like. It's so easy to add subtitles or audio tracks for output movies in iFunia Video Converter for Mac. Just click the edit button, and you will go to the editing interface where all editing functions such as trip, crop, effects, subtitles & audio are listed. Click the subtitles & audio button and add the subtitle file. Click the format profile icon, and the output format profile window will open. Choose the right preset for your iPad device in the "Output Format" drop-down menu. 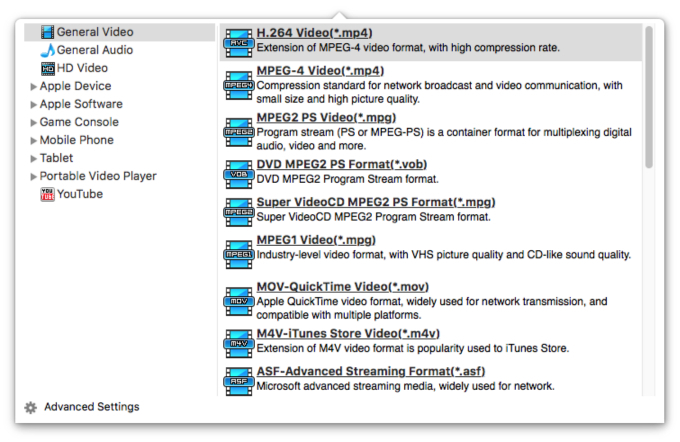 There are many options when you're converting your videos for your iPad. Personally, I prefer to stick with the default profile because the good quality video and audio are given. You just have to pick and choose which profile you want to keep on your iPad. Play around and see which results you like best. Bingo! That's it! When the conversion is done you can transfer the video to your iPad via iTunes and enjoy it comfortably on a cozy sofa!